Not sure what I expected Greenland to be like honestly. I feel like when I thought of Greenland, I’d think about just the big white blob to the right of North American continent but really knew nothing about it. It’s not an easy trip, it’s not a cheap trip, but it’s definitely worth your while! 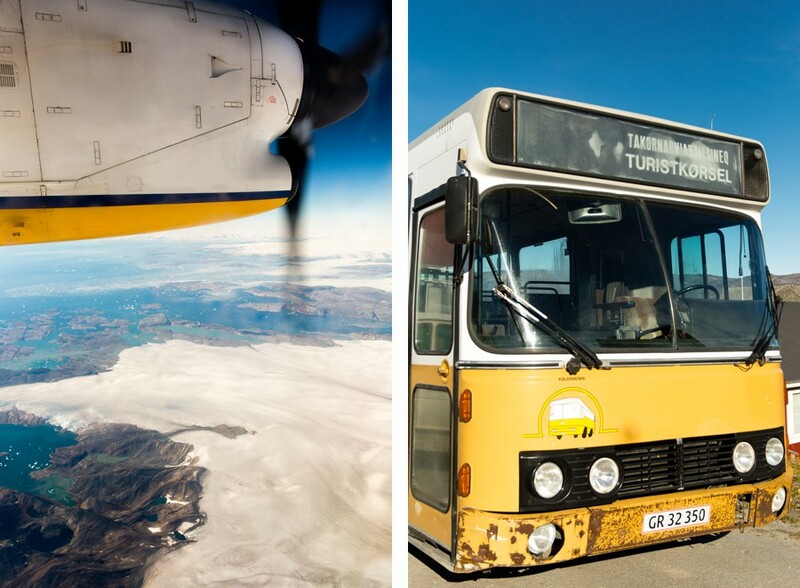 We flew Air Greenland from Reykjavik to Ilulissat on a small prop plane. After college, I very briefly worked as a flight attendant for a regional airline and was predominantly on a small French prop plane called the ATR. I may be one of the few weirdos that actually feel more safe and comfortable flying on small planes. Prop planes are rad! We thought seeing all the little baby icebergs out the window was super cool! 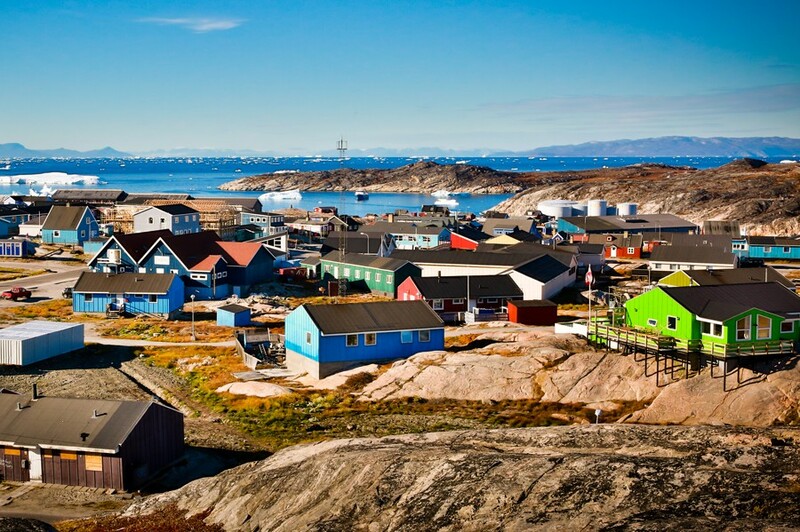 Ilulissat is a harbor town with the major industry being fishing of course. The buildings are all painted bright colors and it was like seeing a watercolor come to life. The icebergs really like to party here and dominate the landscape. Crazy fact, the iceberg that sunk the Titanic in 1912 originated in Ilulissat. We went out on a World of Greenland sunset iceberg cruise which was absolutely killer! It’s hard to tell how massive these ‘bergs are from the photos but they are like fully formed white islands. Being from Texas, it’s not like I knew much about icebergs but they are really crazy things, icebergs. It’s called “calving” when they break off from their mother glacier and the sound is like something has been hit by lightning. Then a small tsunami basically happens! Icebergs also do this thing where they roll over and over until they reshape for balance. 90% of an iceberg’s mass is under water. Our guide brought a baby ‘berg on board and Kev is drinking whiskey on iceberg ice! Ilulissat is also gorgeous at night! Not sure if I’ll ever get a photo with a cityscape, icebergs, a sunset and the Northern Lights ever again! That red building is the famous Arctic Hotel. 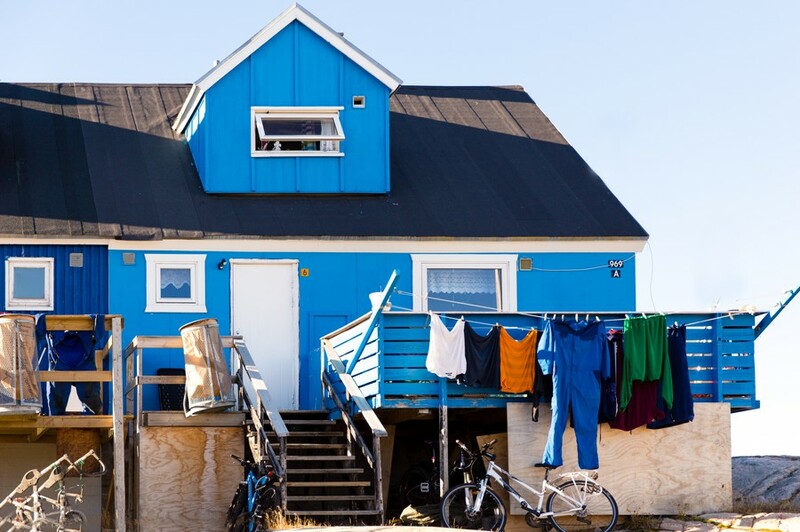 We took Greenland Air again to Kangerlussuaq for our hiking/camping trip on the Greenlandic Ice Sheet! We went with World of Greenland | Arctic Circle again! A huge crazy off road bus thing picked us up and we drove to the glacier. After hiking in using sleds to pull our stuff, we set up camp here. We learned how to use crampons and hiking poles to walk on the ice cap! I felt invincible in my crampons! I could have walked for days! When I said we went with a guide, maybe you imagined some weathered, burly dude. Nope, we had a wonderful, hilarious, young Danish woman named Luisa as our guide! Mad props to a strong lady with serious survival skills! All the heart eyes for her! We saw the aurora for the last time this night. Sigh….